Oboist. Seattle-ite gone Midwestern. Gouger nerd. English horn player. Enthusiastic clapper. 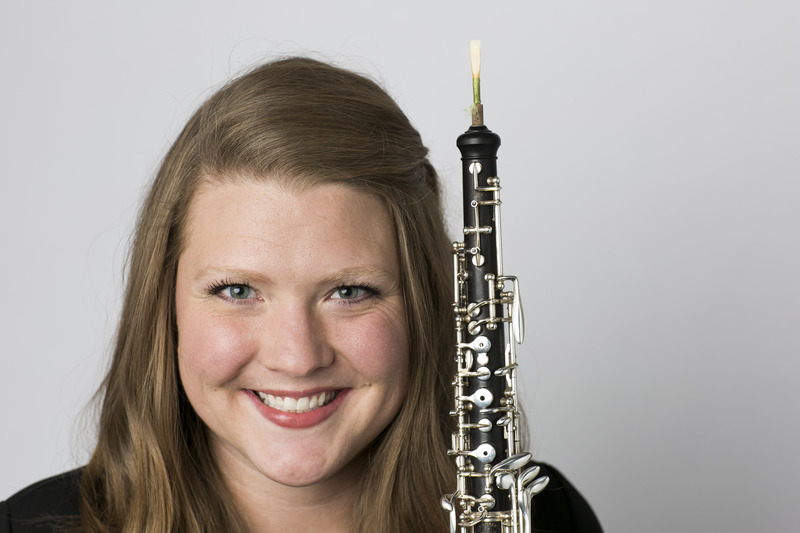 Oboist and English hornist Lindsay Flowers is a member of the Evansville Philharmonic Orchestra and the Civic Orchestra of Chicago, where she acts as a Civic Fellow. This season, she is performing a solo recital presented by the Civic Orchestra featuring works by Mozart, Hindemith, and Carter. As a passionate lover of chamber music, Ms. Flowers is a founding member of the Arundo Donax Reed Quintet, Bronze Medal Winners of The Fischoff National Chamber Competition in 2011. Since then, the group has enjoyed recording premieres, performing tours, and designing educational enrichment activities. Most recently, she has appeared on KammerMahler’s recording of Mahler’s Ninth Symphony as well as curated residencies at the Zhou B Art Gallery, North Carolina School of the Arts, and South Carolina Governor’s School. Lindsay holds a faculty position at Sistema Ravinia and was formerly an Associate Instructor of Oboe at Indiana University’s Jacobs School of Music. There she completed her coursework for a Doctorate of Music under the instruction of Roger Roe and Linda Strommen and won the 2013 Oboe Studio Concerto Competition performing Martinu’s Oboe Concerto. Her summer experiences have taken her to the Lake George, Castleton, Aspen, Banff Music Festivals where she worked respectively with Maestro Lorin Maazel, Elaine Douvas, Richard Woodhams, and Richard Killmer. In addition to playing the oboe, Lindsay is recognized for her intuitive work on oboe and English horn gouging machines. Particularly, repair and maintenance on the machines designed by John Ferrillo. All things Russian. Picking one composer… Prokofiev. You get a little bit of everything in his writing. The art of collaboration can elevate anything. The more different the collaborators are from one another, the greater the outcome. For instance, I am interested in pairing music and food. Chicagoans love good food. Pairing it with music would be an appeal to multiple senses. Rooftop or penthouse space—so let me know if you have access to this type of room that you want me to fill with music! 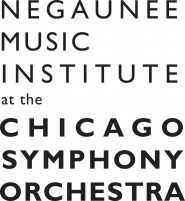 Our sparkling Chicago skyline would provide a stunning aesthetic experience for the audience. Including a silent auction, hors d’oeuvres, and fine wine would truly make this into a special evening.